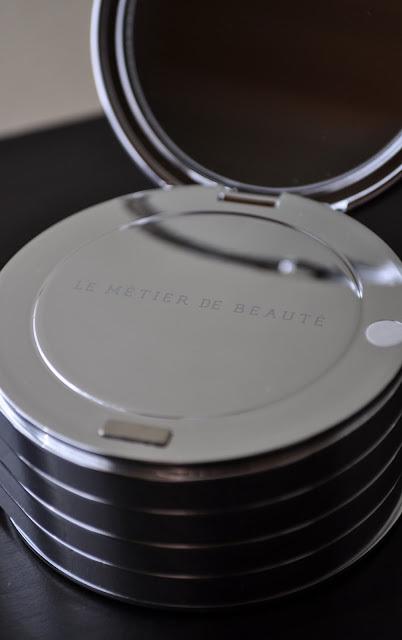 Le Metier de Beaute (the craft of beauty in french) is a luxury cosmetics brand that I have been in love with ever since I discovered them over three years ago. This brand is probably best known for their series of face,eyes and lip kaleidoscopes and the "couches de couleur" application tecnique ( A BIG thank you to Amanda, my LMdB Mua, who educated me on this technique three years ago). Imperial Silk: a sheer (almost clear) soft pale peach pink with tiny pink and gold sparkles. Don't under estimate the sheerness of this color. 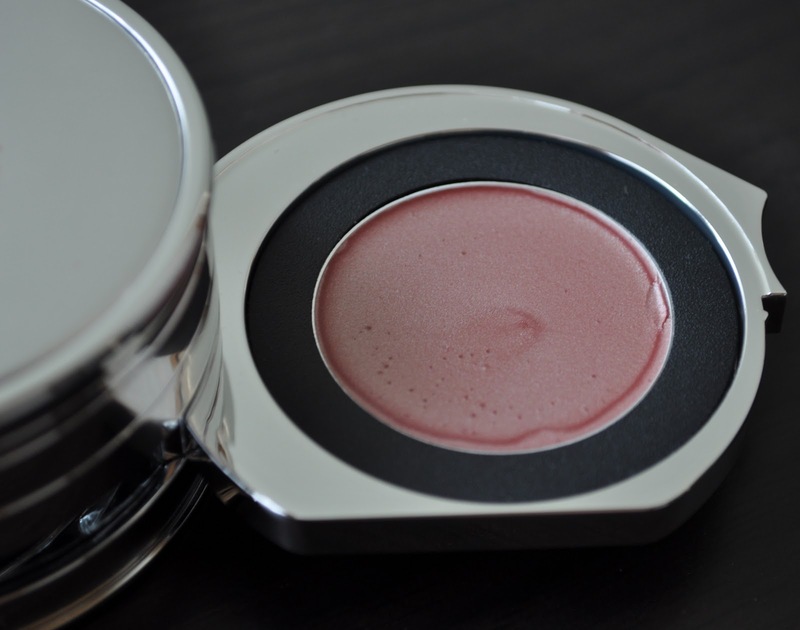 Imperial Silk enhances the lips natural color and gives the pout a lovely pinkish gold sheen. Silk Road: a sheer to opaque shimmery crimson burgundy red. I normally gravitate towards this lip color during Fall/Winter. Empress: a sheer pinkish champagne mauve with pink and green sparkles. Although most of the pink and green sparkles are lost in transit when going from the pan onto the lips, I still really love this shade. 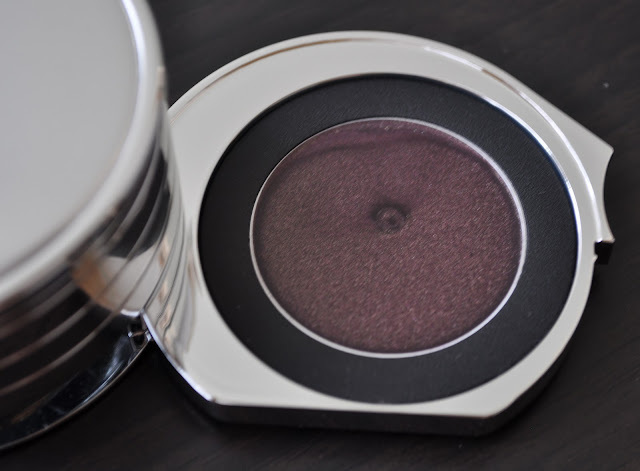 Plum Satin: a sheer deep plum with a golden sheen and tiny gold sparkles. 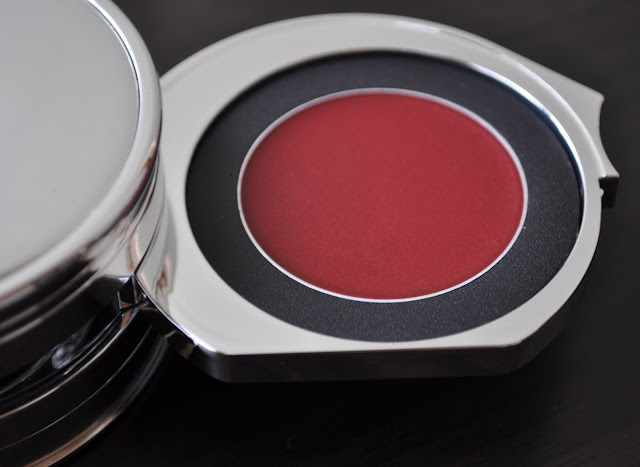 Plum Satin is a lovely rich plum shade that will compliment a subtle neutral fall look. 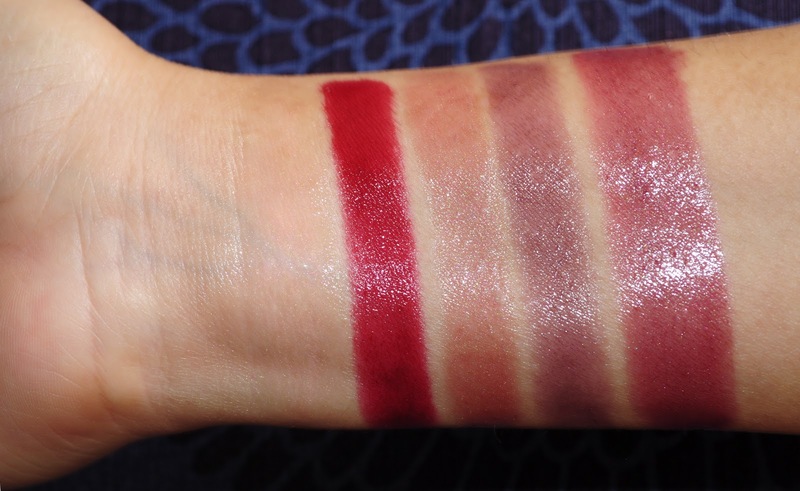 The four shades in this kaleidoscope are listed from top to bottom as they are featured in the palette. 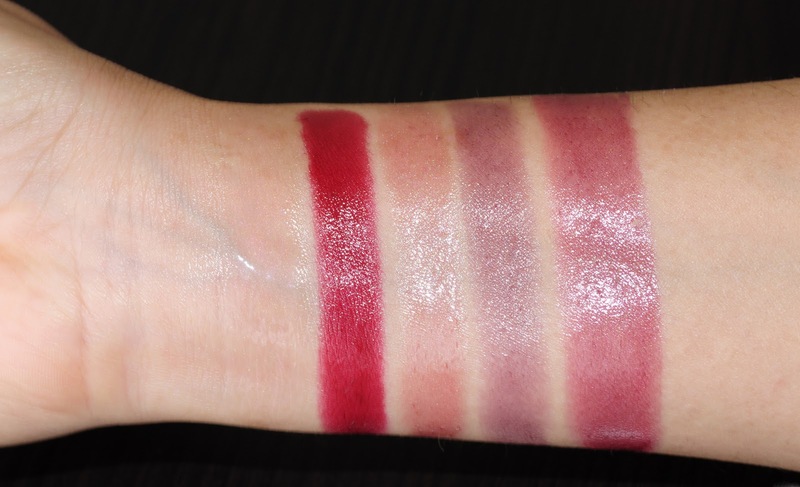 Also, using the "couches de couleur" technique, I layered all four colors together (starting from top to bottom) resulting in the fifth swatch, a sparkly rose berry shade. As you can see (or not) in the photo below, the swatch of Imperial Silk appears non existent. Have you tired any products from Le Metier de Beaute? If so, I would love to hear your thoughts on this brand.